or copy this trackback: http://engineering.electrical-equipment.org/electrical-software/cad-software.html/trackback from your own site. just what an engineer needs seems to be a well organized CAD software with basics. We tried this software. Not very easy to customize. Help desk was not useful in assisting us in creating or modifying schedules. I am sorry that you had trouble customizing our schedules. They are fully customizable, and we’ve done our best to make it easy, but apparently have not completely succeeded. I am also sorry that our help desk was not able to provide assistance. If you would like to take another try at getting the schedules right, I would be happy to assist you. Do you have a software for british standards? specifically Kingdom of Bahrain. is there any good alternative then autodesk’s? web side is very good. Auto cad is really great software. It is very useful software for drawing. Most of the professional companies make use of this software when making designs. Auto Cad is GREAT! Especially if you’re a student who wants to start working on developing your portfolio! If you’re in the CAD industry check out ParpriCAD from PROCAD! Build master’s softwares are too costly which i can ‘t afford. Where as Best RCC Structural software are in market just only 1000$. So i thinking why I’m Electrical Engineer rather than Civil Engineer. Where is the best place to purchase CAD software? 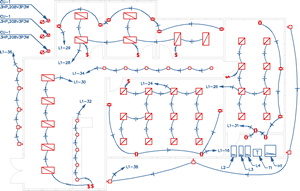 Effective surge protection installation into an electrical switchboard? How to illustrate “Re active Power” ?